This video from Harrod Horticultural shows their apple press and crusher in use. 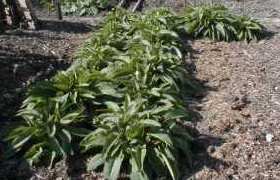 If you’ve an apple tree, or a pear then you’ll be familiar with the glut in a good year. What to do with all those apples? 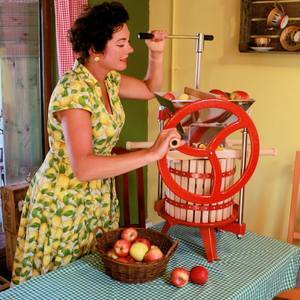 With an apple press you can extract the freshest possible juice which can either be enjoyed fresh or turned into cider or wine. It also works with pears etc, of course. You can buy just the apple press but the crusher makes a huge difference. Harrod Horticulture ran a test where they cut 30 apples into quarters and put them straight in the press. This produced 350ml of juice. Running the same amount of quartered apples through a crusher first produced a whopping 1600ml of fresh juice. That’s over 4 times as much juice from the same number of apples! It’s a two part process, first the apples are minced in the crusher and then the resulting pulp is pressed to extract the juice. You can buy the press and crusher from Harrod Horticulture. 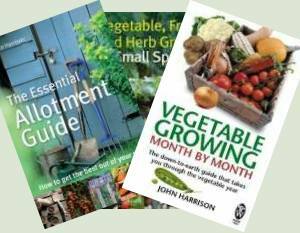 Special Offers Exclusive to Allotment Garden!